Just ahead of the release of “How to Train Your Dragon: The Hidden World” on Feb. 22, the film’s Virtual Tour visit select Walmart parking lots. The tour will also feature “How to Train Your Dragon” merchandise available for purchase in a branded, immersive gift shop. The experience will begin in an onboarding room where the film’s twins Ruffnut and Tuffnut will greet guests and set the scene. 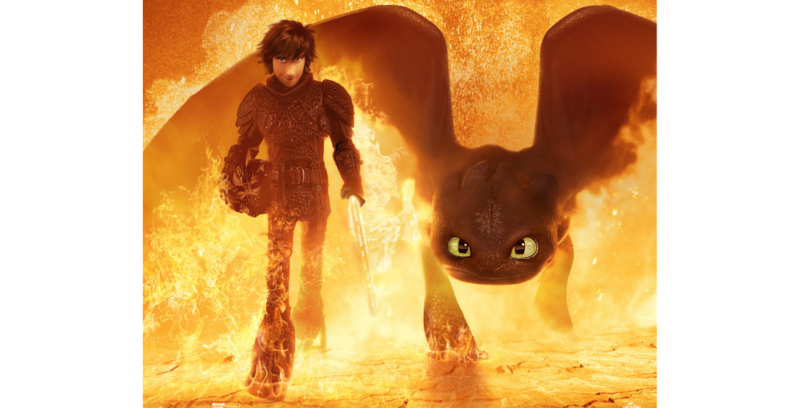 Participants will then be led into a dragon’s cave to put on headsets and sit in specialized Positron motion VR chairs powered by the HP VR backpack, before setting off on a truly lifelike five-minute journey through the Hidden World with Astrid, Hiccup, Toothless, Hookfang, and more. This experience gives guests ages 8 and up the chance to interact with characters from the films through immersive real-world sound, motion, and sensory cues. After the VR experience, guests will be guided into the themed gift shop, where they can purchase memorabilia featuring the characters they interacted with. Items for sale will include plush toys, action figures, DVDs, video games, and more. Select merchandise from the collection will also be available in 2,000 Walmart stores nationwide and online.